In January I spent a couple weeks making visual upgrades to Complex. Lo-fi did a great job when he first made the map about a decade ago, but obviously the standards of game art change. I decided to make some upgrades. 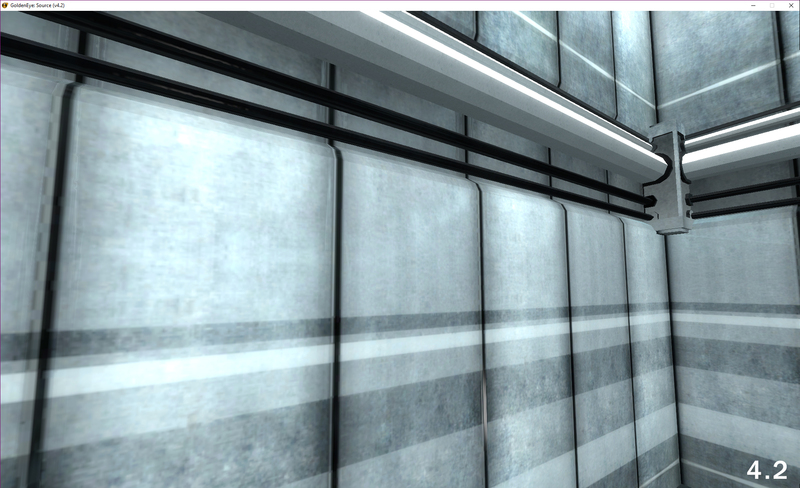 First, the wall textures were redone at double the resolution. 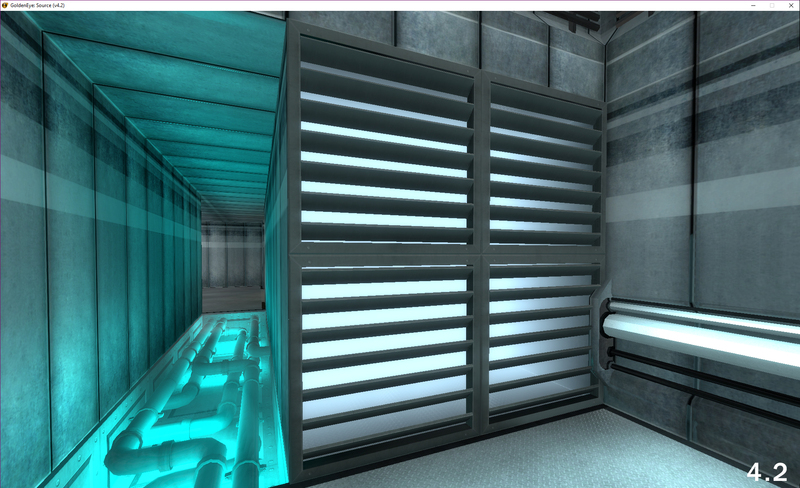 In 2006 it was standard to use 512x512 pixel textures for walls. I redid them at 1024x1024 pixels using Substance Designer. 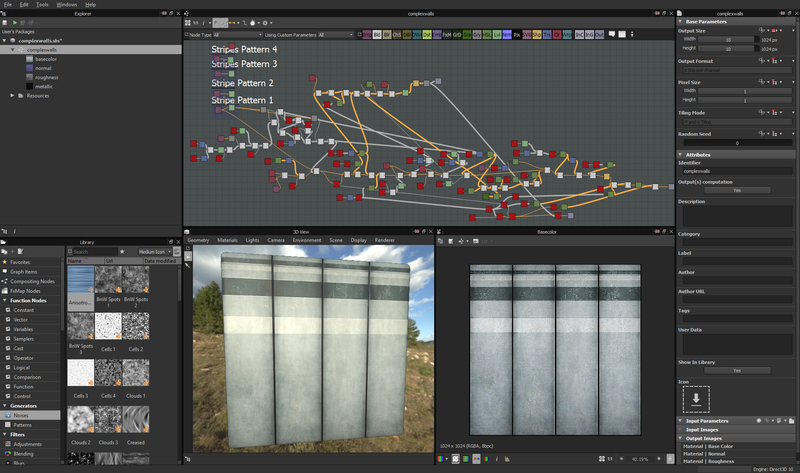 This is the Substance Designer graph. 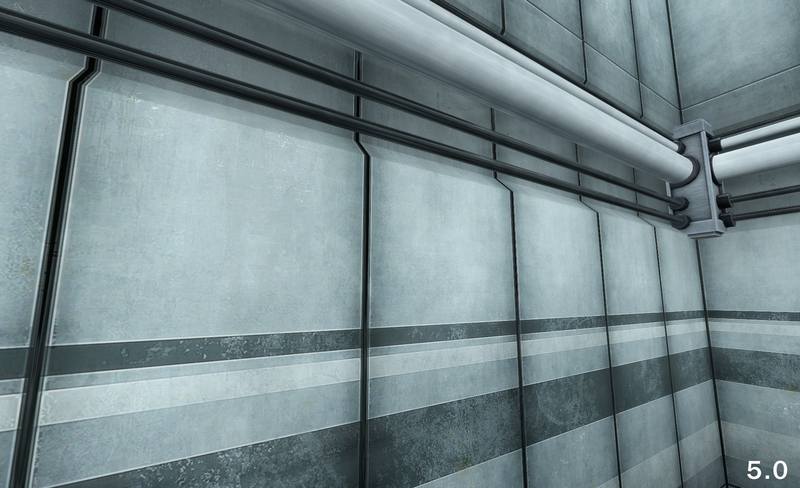 Basically I did one base texture, then changed the stripe pattern a few times to get the rest of the textures. 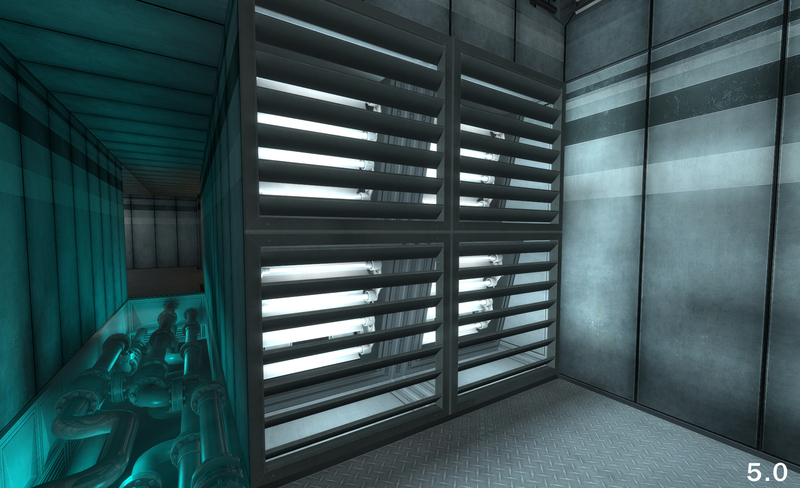 Another element I redid were the cylindrical brush-based details lining walls throughout the map. 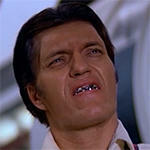 Those were replaced with models, which gives them a smoother look. 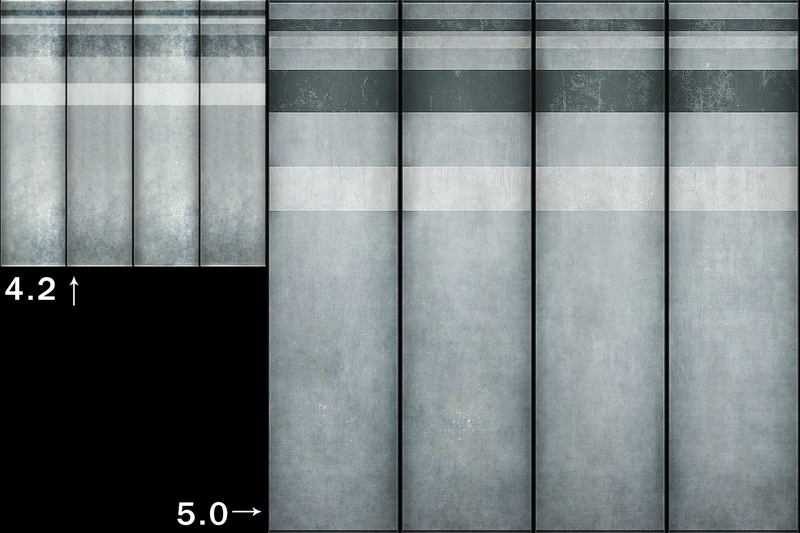 Here's a comparison between a wall in 4.2 and 5.0. 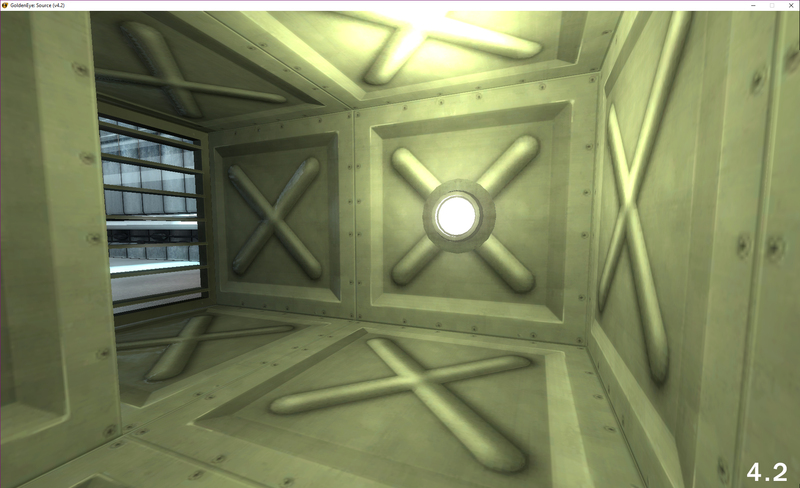 The difference in texture resolution is most noticeable when you're up close to the wall. I had actually already worked on Complex a bit before for the 4.2 release. 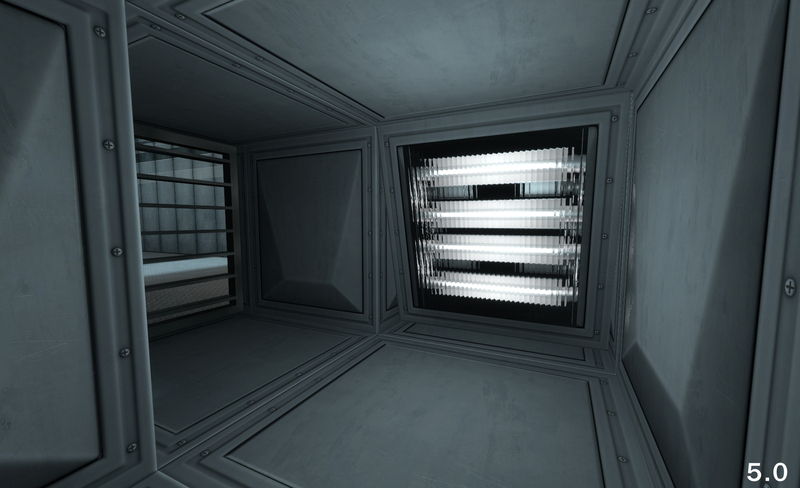 One of those 4.2 changes was to make the vent grates with the light behind them. 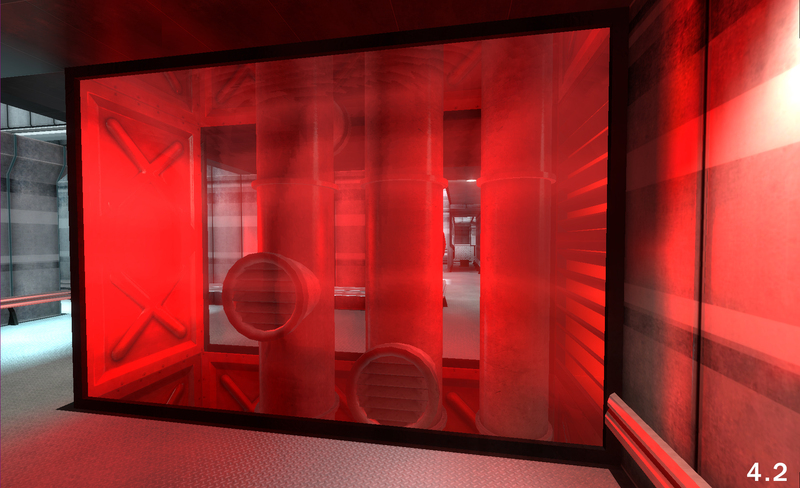 I decided to replace the solid color light with a light asset I made for Aztec. After all, the original GE64 Complex was created from reused Aztec assets. The red armor wall was also changed. We felt it was too easy to abuse the glass wall in 4.2 to camp the armor, so the space was modified. 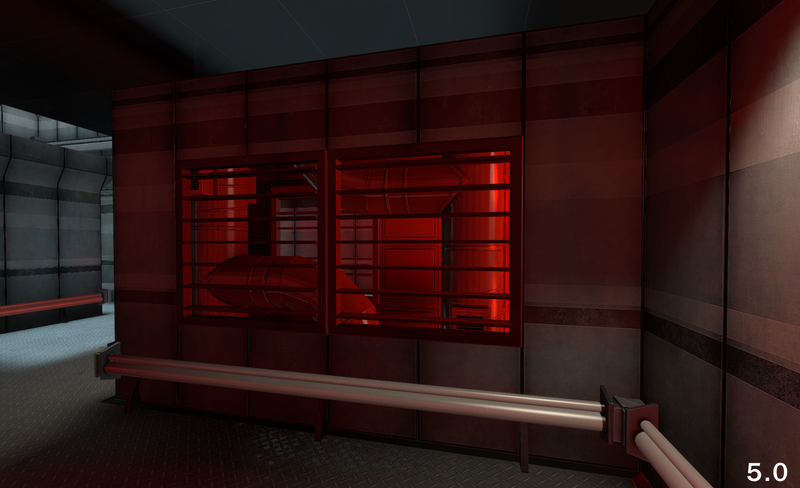 I reworked the vent ducts a bit, creating a new texture just for them. 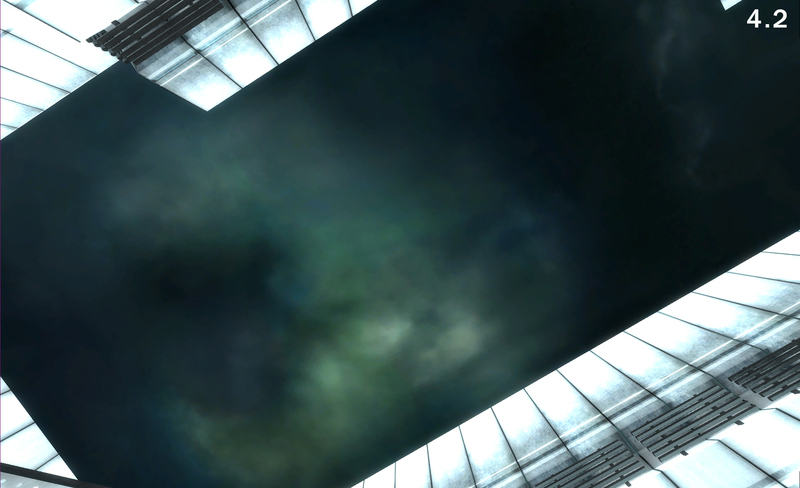 Finally, the map had used a low resolution sky from Half Life 2. 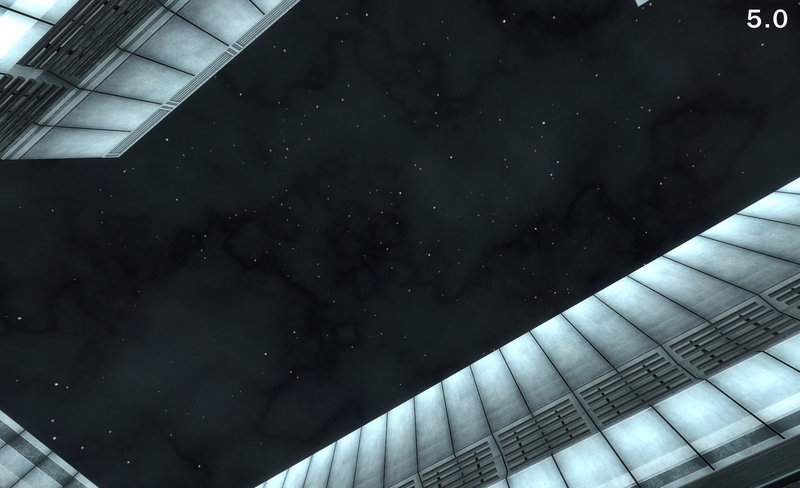 I made a new skybox texture with Cinema 4D and also added moving clouds. Hope you all like the changes. If not, tell me why. Or feel free to suggest more changes for the next release! Thanks for sharing this Luch. It's a good reminder of how much different from 4.2 it looks now. Awesome work! When Luch touches it, it's always sexier. No exceptions.